An eclectic collection of short stories by the award-winning author of Bacalao and With Honour in Battle. 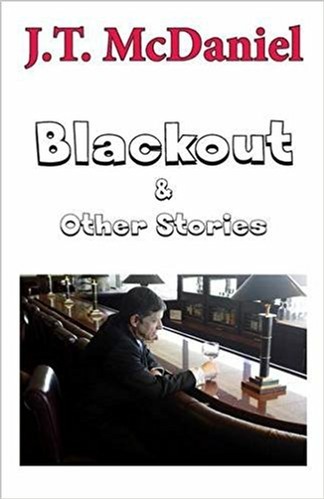 Blackout & Other Stories has a little something for every taste. Three of the sixteen stories have never previously appeared in print. The stories range from the hard-boiled title story, to more of McDaniel’s popular submarine adventure stories, to ancient civilization fantasy, strangely civilized, or not so civilized vampires, and even a bit of science fiction. Here you’ll find demigods and vampires, cabala and murder, fleet boats, U-boats, “unbelievable true stories” that never happened, and a very unusual duel between a battleship and a carrier task force. Blackout: A hard-boiled mystery with an unusual twist. Eighteen Hours: An American submarine and a German U-boat find themselves in a protracted duel off the east coast of the United States. Element of Surprise: Battleship vs. Carrier Task Force. A Gehunite Empire story briefly alluded to in Returning. Survivor: After being torpedoed by a Japanese submarine, a destroyer’s crew must somehow stay alive until someone notices they’re missing. If anyone ever does. The Collinsville UFO: A “true” account of an unidentified flying object seen on 3 June 1847 at Collinsville, Indiana. Conflict of Interest: A suburban housewife and school board member is under pressure from her pastor to remove Harry Potter from the school libraries. Skagerrak: A prequel to With Honour in Battle. A Big Disappointment: How do you handle it when you’re playing in the World Series against the team you grew up rooting for and your mother won’t talk to you? Memoir: Some recollections from a most unusual vampire. The Life of Salmik the Great: Another Gehunite Empire story. This is essentially a biography of the empire’s founder, loaded with supernatural meaning. Mort’s Maid: Uncle Mort doesn’t want to sell his estate to a mob-connected shopping mall developer. His always silent, seemingly ageless maid has a mystical secret. Predator: A serial killer has picked a new victim. He may not have made the wisest choice. A Patient Man: On his deathbed, an aged funeral director reveals what really happened to his old employer’s odious son all those years ago. Castle Grosshelm: German prisoners of war are put to work excavating a ruined Romanian castle by their Russian captors. Sometimes things should just be left buried. Mission Twenty-Five: The bombardier recalls what happened on his plane’s twenty-fifth bombing mission. The one that, if they survive, means they get to go home. You can see the author reading this one on YouTube. Return to Duty: The third Gehunite Empire story. Commander Julia Maniah returns to her dry-docked submarine on the morning Arzucalda decides to start a war.